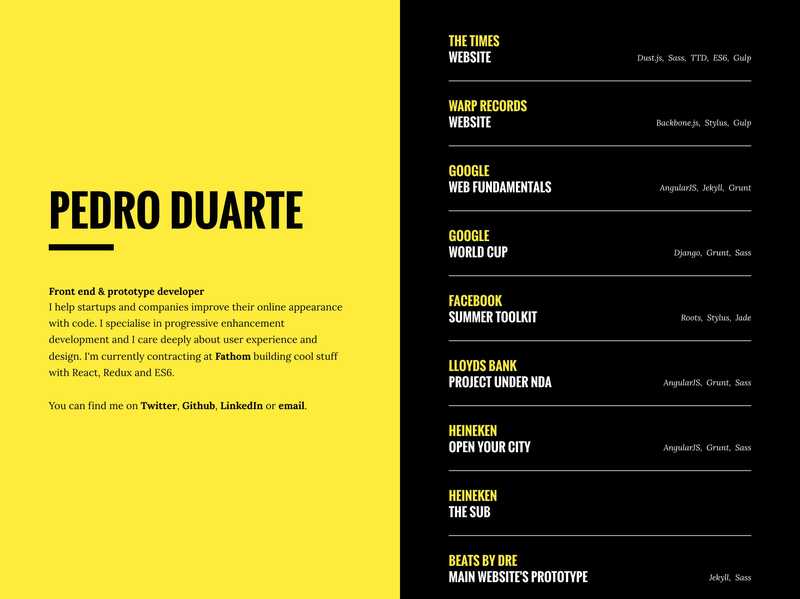 Minimal approach to a One Page portfolio for front end dev, Pedro Duarte, featuring a simple scrollable list of projects in the right panel. Lovely touch with the full screen left-to-right load transition of the right panel. I help startups and companies improve their online appearance with code. I specialise in progressive enhancement development and I care deeply about user experience and design. I'm currently contracting at Fathom building cool stuff with React, Redux and ES6.